Well, there’s no official contract in place, nor will you see any manner of ads plastered all over the place here. But, suffice to say, Rogue has become the “unofficial” beer of WWR. They took a chance on our expanded coverage (fun, affordable stuff that we – and you – like), and we’ve gotten to experience some of their new releases. 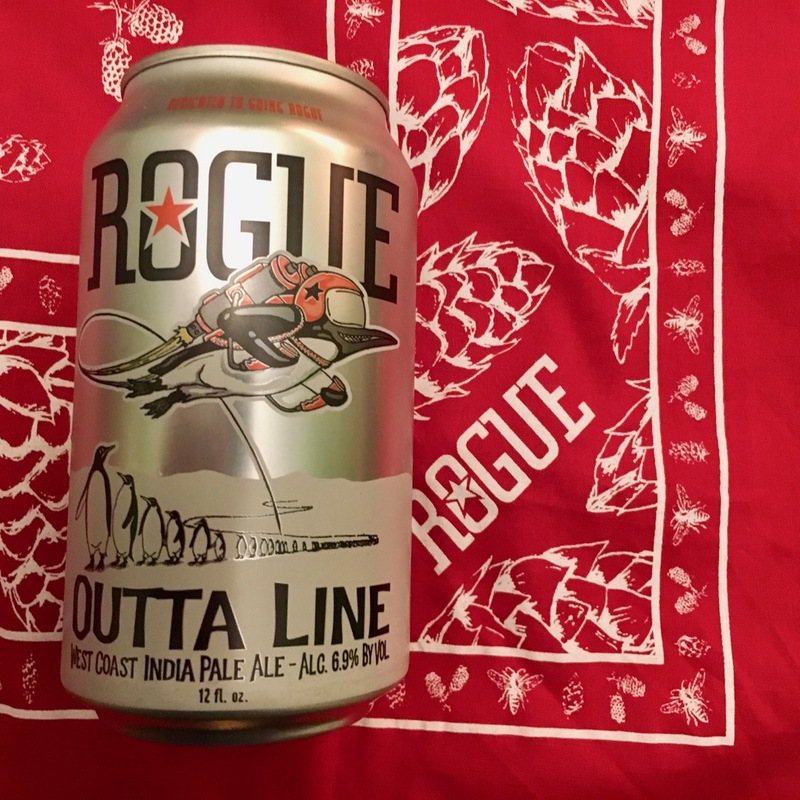 Today, we’ll have a look at the Rogue Outta Line IPA. Now, if those last three bullet points aren’t making much sense, I’d suggest that you look at our last Rogue review (here), as we went into some significant details on what those all mean. Coming in at 6.9%, this is one you want to not treat as a session drink, but it’s not overpowering at all. When I poured it into a glass, I noticed the same thing I’ve seen with most of the Rogue ales – there’s not a super amount of carbonation. For me, I’m a-ok with that, as it means even if you’re not a great pourer, you won’t get a ton of foam in the glass. And it doesn’t come across the tongue as flat, either. The nose is is hoppy, and the taste buds report something that’s crisp, with a definite hoppy note. Depending on how you’re approaching it, this will either hit you as slightly bitter, or, as it did on my second sitting with the Rogue Outta Line, it actually had a bit of sweetness to it. You’ll note that I found a citrusy note, and Rogue themselves (on the can) have it labeled as citrusy. Perhaps I’m spoiled by ones that make heavy use of Citra hops, but this is not something that is overwhelmingly citrus. There are hints, sure, but if you’re not a fan of strong citra, this could be worth a try for you. Myself, I found it crisp and enjoyable. Would’ve been much better by the fire pit in the backyard, but the Polar Vortex here in Chicago wasn’t making that feasible. All in all, an enjoyable sip.